A great seasonal cocktail from fall through winter. 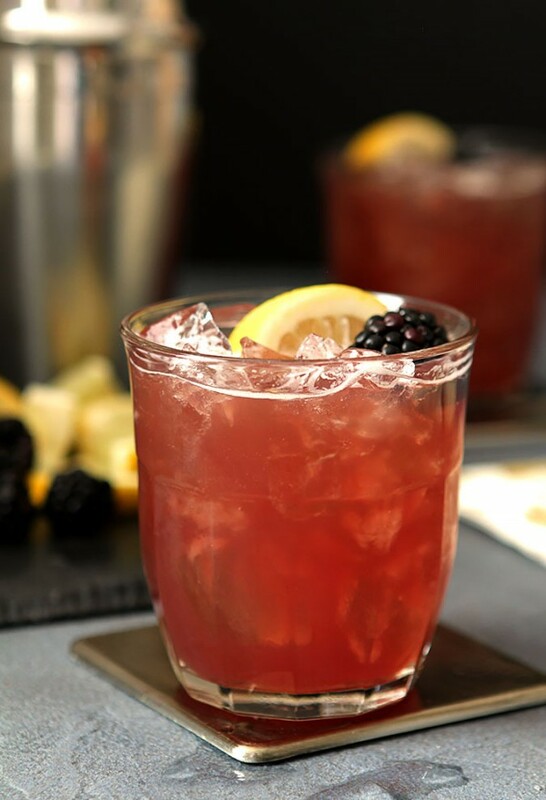 The Blackberry Bourbon Cocktail has Blackberry liqueur, lemon, cranberry juice & bourbon and makes a cocktail that is refreshing and beautiful. I know I whine and complain about Summer ending and the beginning of Fall and I do feel a bit like the Lone Ranger in that effort to hang onto every last moment of warm days and cool nights. But I’m a realist and it’s time for the whining to stop and acceptance to begin. It was 84 degrees in Denver the beginning of the week and today it’s 45. Seems fitting for the first week of Fall that it should prove a point isn’t it? So, I’m going to work on some transitional cocktails and by transitional I mean bourbon. There is something about bourbon that is warmer and more robust and seems perfect for cooler months. Tequila is my friend in the Summer and bourbon and I get closer starting with the advent of Fall. Traditionally I’ve looked towards apples (and apple cider) and pears for the fruit I’ll include in a cocktail for the Fall season but I’m taking a different path today. This cocktail includes blackberries which typically ripen much later in our high altitude than elsewhere, so they are the fruits of August and I’m still finding some great ones at the market. This is my segue…the fruit of late summer and my choice of libation for Fall…seems perfectly fitting. 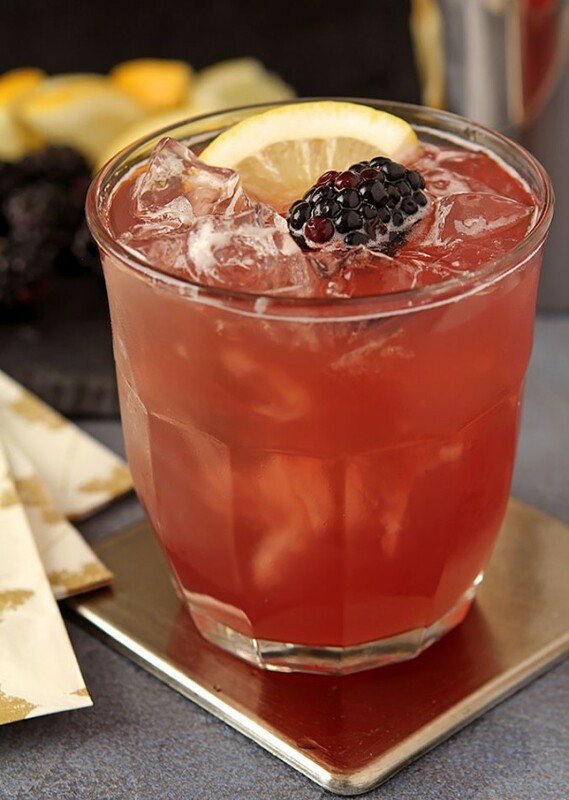 The liqueur suggested for this cocktail is Crème de Mûre or blackberry liqueur. It’s made in France from blackberry juice and has the most intense blackberry flavor. Crème de Cassis which is a liqueur made from black currents, is often used as a substitute (yes I have) and is perfectly fine to use if you find the French version more difficult to locate. In years past I would have to make a trip to a specialty liquor store downtown to locate the Crème de Mûre but in the past couple of years it seems to be on more and more shelves. I went to a decent size liquor store near me last week and while the staff was unfamiliar with it but I was able to find it stocked. You might have to do some detective work too but do try to find it if you can; it’s lovely. Add to bourbon and liqueur some lemon and cranberry juice and it’s a great cocktail through winter too. It’s everything I love. The warmth of bourbon with both tart and sweet elements of lemon, cranberry juice and some simple syrup. And make no mistake…the bourbon is clearly evident. I’ve suggested 5-6 ounces for 2 cocktails…try the smaller amount and see for yourself if your palate prefers a stronger presence before pouring. I seriously loved this and know that if I can grace our cocktail time with more libations like this then I’m well on my way to embracing the Fall season. Cheers! Add all ingredients except garnish. Shake until chilled and pour into an ice filled glass. Garnish with whole berries and lemon wedges. To Make Simple Syrup combine equal amounts water and sugar and heat on medium just until the sugar melts. Remove from heat, pour into a vessel and put in the refrigerator to chill before using. This cocktail only requires a small amount of simple syrup but any leftovers can be stored in the refrigerator in a closed container and should last for at least 2 weeks. The post Blackberry Bourbon Cocktail appeared first on Creative Culinary.